CableSafe is a development from the offshore industry to improve safety on decks, stairs, scaffolding and other structures. Disorder on the workshop floor during building and maintenance works can lead to accidents which in certain cases may result in long term absence due to injury with the possible consequence of liable action being taken. More than 20% of accidents are the result of falls caused by tripping over electrical cables, welding cables, fire hoses, air hoses etc. spread over decks and work floors. Such accidents can easily be avoided by using the CableSafe Safety Hooks to suspend all cables, extension cords, wires and hoses away from the floor. 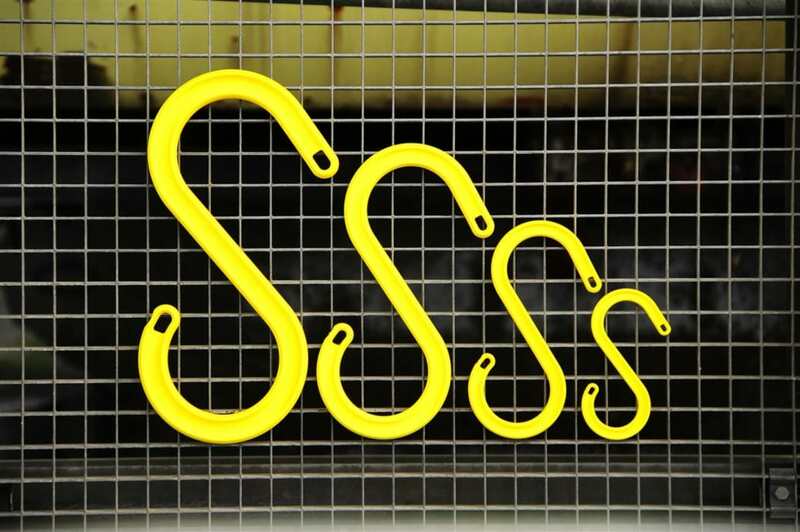 These simple “S” shaped hooks are produced from very strong and sophisticated non-conductive and non-flammable reinforced polyester and can be used again and again. The Dutch chemical and petrochemical industries and the offshore industry were among the first to discover the great advantage of this system; during a "turn-around" or a "shut-down" the contractors are obliged to suspend all their utility cables in these hooks. Multinational companies such as Dow Chemical, ExxonMobil, Shell, BASF, Akzo and many others are subscribing the use of the hooks in their company procedures. In case of emergency situations the escape routes are kept free of obstacles that are of vital importance when seconds can save human life and fire fighters and salvage people will have better access to the place of the accident. Since the hooks are non-conductive there will be less interruption of work due to short circuit and the danger of electrification will be reduces significantly. Practical use of the hooks learns that there is an additional benefit of a more economic use of cables and hoses, the number of cables that are not necessary will be reduced and the lifetime of the cables will be longer because risk of damage due to sharp edges will be reduced to a minimum. After successful introduction in the chemical and offshore industry the CableSafe was also discovered by the shipbuilding and ships repair industry. 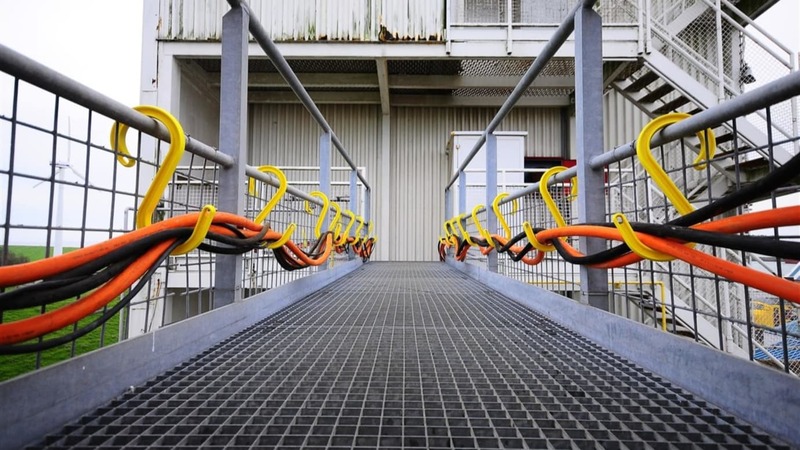 In the Netherlands more than 80% of the shipyards use of CableSafe over the past few years and is to be expected that it will become a standard practice to use the hooks on all new buildings. The most recent development is the “glow in the dark” hook, which gives an ideal situation when an unplanned electrical power shutdown occurs. 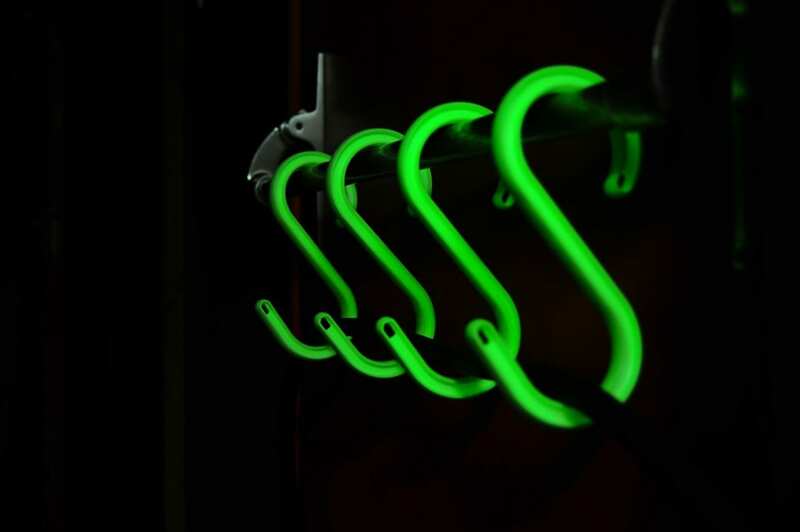 The glowing hooks are good orientation points for personnel in the dark and help them to escape safely from their hazardous situation. There are 4 sizes and on each hooks is specified its maximum allowed load. Each end of the hook has a hole that enables the user to save guard the hooks and cables by means of a tie-wrap.